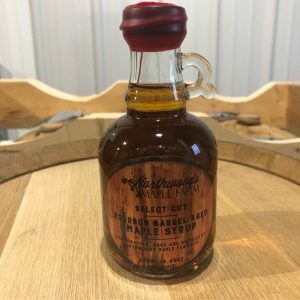 Northwoods Maple Farm Syrup flavor profiles are developed using sap from our maple grove in conjunction with minerals from the local soil and spring freezing thawing cycles creating unique flavor profiles specific to the geographical location. In spring, when winter begins to lose its icy grip the sap begins to flow. As the days warm above freezing trees begin to come out of dormancy. The length of season is entirely based on temperature and typically occurs from late February to Mid-April. Temperatures reaching 40’s during the day and below freezing at night are optimal conditions for sap to flow. 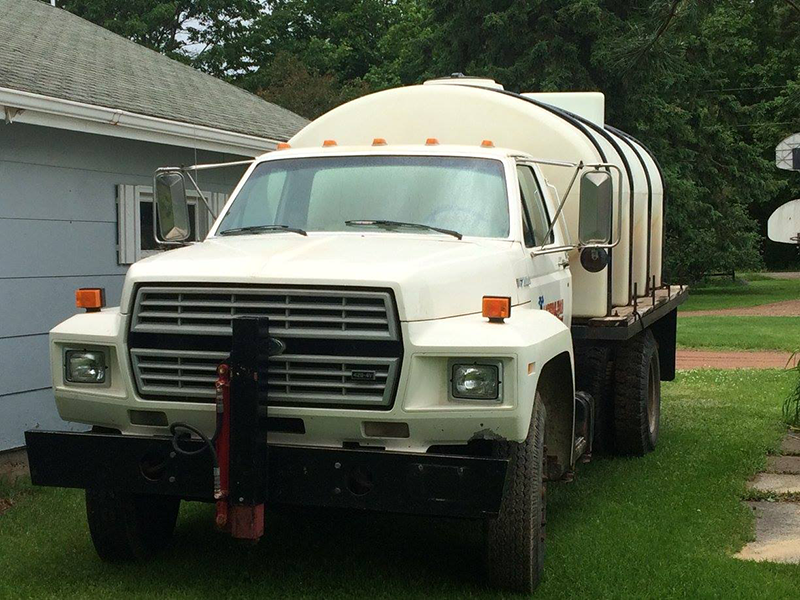 When sap flows, Northwoods Maple Farm co-founder Anthony Renken works swiftly to preserve the integrity of the sap tending to a network of tubing installed throughout the maple grove. 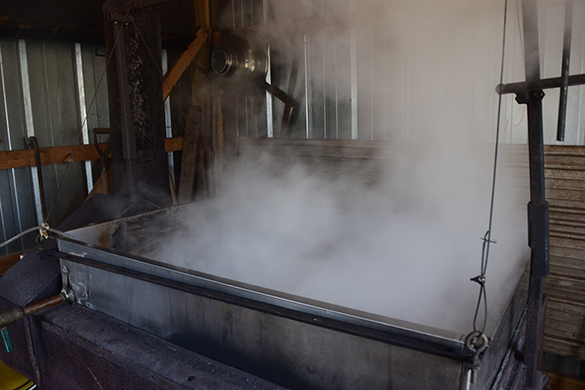 As the sap leaves the lines and enter the holding tanks sugar levels and sap purity is monitored to ensure only the best sap begins the transformation to maple syrup. As the sap enters the evaporator true craftsmanship and mastery of sugaring is a sight to behold as sap becomes syrup taking on changes in color and flavor. When syrup leaves the evaporator it is filtered, rapidly cooled, and bottled to preserve the full flavor profile. Here at Northwoods Maple Farm we want to educate the consumer about pure maple syrup!!! Checkout this video on grading syrup by flavor and treat yourself to a little taste of the Northwoods. Pure maple syrup is only made on a commercial scale in North America – nowhere else in world. Maple syrup is generally produced in the states and provinces that surround the Great Lakes and the St. Lawrence River to the Atlantic Ocean. Maple sap is collected in the early spring, when temperatures get below freezing at night and above freezing during the day. It takes approximately 40 gallons of maple sap from the trees to make one gallon of pure maple syrup. 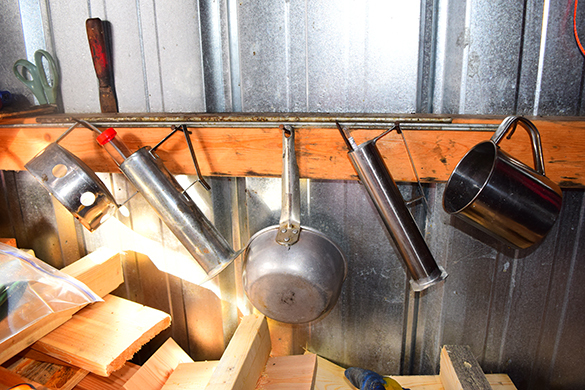 Nothing is added to the sap, only water is evaporated away, to make pure maple syrup. Once concentrated to the correct density, pure maple syrup is filtered and “hot pack”- bottled. A tree large enough to tap can be re-tapped year after year, although a new tap hole must be drilled each season. Each tap can yield up to 10+ gallons of sap per season on a gravity system, resulting in approximately one quart of finished syrup. Vacuum collection systems will yield approximately twice the sap of a gravity system. Pure maple syrup is a great natural food. It contains no preservatives, colorings or other additives.